It's been 313 years since French explorer Antoine de la Mothe Cadillac pulled his boats ashore and declared that you would be Fort Ponchartrain du Detroit. You've changed nationalities a few times. First, you were French for about 60 years before falling under British control for almost four decades. Since 1796, except for that time the British captured you during the War of 1812, you have been a proud American city. You loaned $50,000 to the state government to help raise troops for the Union cause during the Civil War. President Lincoln exclaimed, "Thank God for Michigan!" when the Michigan troops you helped finance were the first from a western state to arrive in Washington, D.C. During World War II, your auto industry built the tanks, bombers, and jeeps that helped topple the German and Japanese threats to democracy, and your women answered the call to arms by building these machines of war while your men were storming the beaches of Normandy and Iwo Jima. You survived a great fire and grew from a small fort and fur-trading post to a cosmopolitan city of almost 2 million people. In the last few decades, a lot of people gave up on you. Many moved to the suburbs or other states and forgot about you. Many others say that we should give up on you, a city that has done so much to make our country the industrial and economic power it is today. These people have short memories, but do not worry about them. You have survived 313 years, and you will live much longer than all of us. When you burned down in 1805, Detroiters did not give up on you. When riots tore you apart in 1863, 1943, and 1967, you lived on. When you have been alive for 313 years, you are going to have some rough patches. It's inevitable. "We hope for better things; it will arise from the ashes." And remember that this has been your motto during times of prosperity and times of despair because you are a city of invention and reinvention. Today, young entrepreneurs and wealthy business people are ignoring the naysayers and reimagining your future. 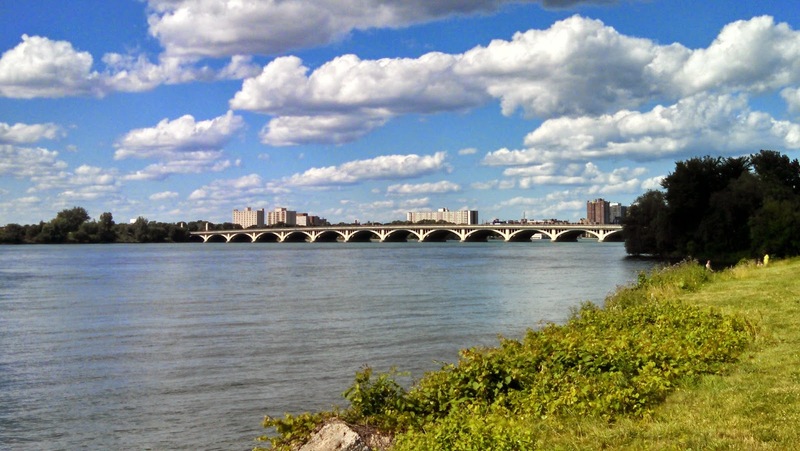 Your riverfront is no longer an industrial wasteland, but a place where families can stroll on a beautiful summer day. New gardens arise from the ashes of your old buildings. There is a new energy within your boundaries that is becoming infectious. You will survive, as you have always done before. So today, when you blow out your candles and make your wish, remember that there are countless people who share your hopes and dreams. You will live to realize better things. 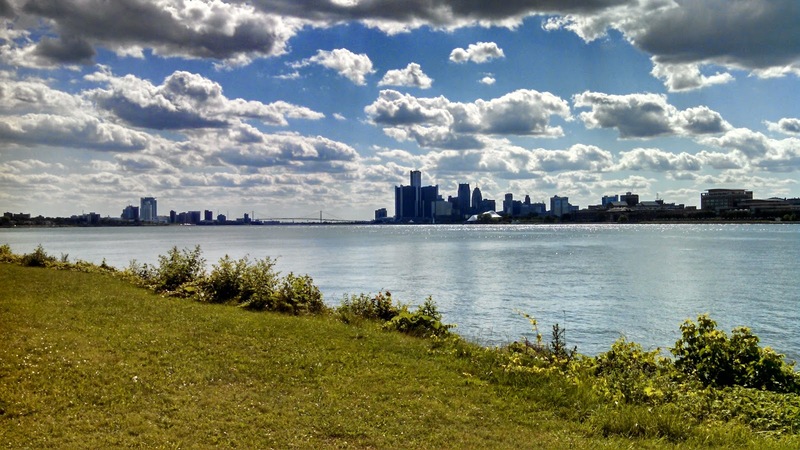 Detroit's Belle Isle State Park is a beautiful 982-acre park in the middle of the Detroit River. It offers numerous outdoor activities, including athletic fields and a beach, and indoor fun as well, with the Dossin Great Lakes Museum, Bell Isle Aquarium, and Anna Scripps Whitcomb Conservancy. One of the most beautiful spots on the island is the James Scott Memorial Fountain. 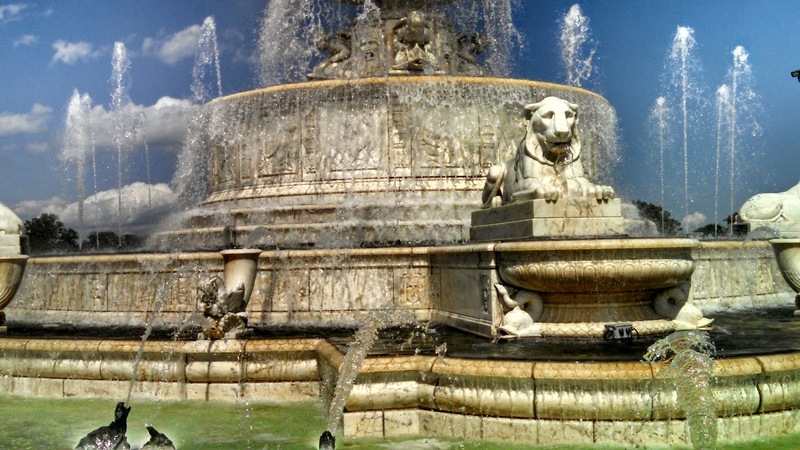 Despite the abundance of water in Michigan, this famous Detroit landmark was often dry for the past several years. After significant renovations, it will flow freely every day this summer. 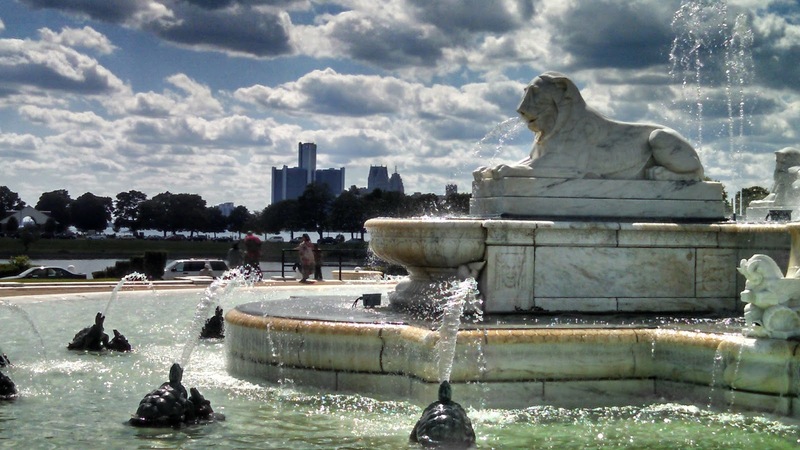 The enormous fountain stands near the western end of Belle Isle and offers beautiful views of Downtown Detroit and Canada. 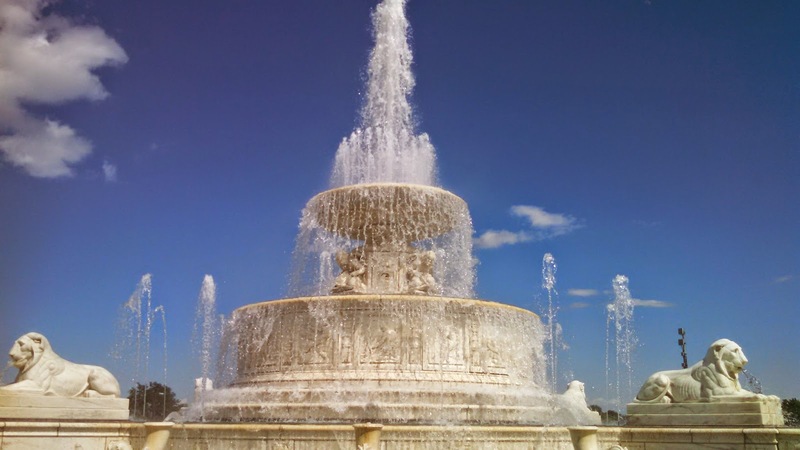 Cass Gilbert, who designed the U.S. Supreme Court and the Detroit Public Library Main Branch, designed the fountain, which was completed in 1925. The beautiful marble fountain stretches 510 feet across, and sculpted lions, turtles, dolphins, and human figures serve as its water spouts. In addition to repairing the fountain's plumbing, the recent renovations have included removing many of the stains on the white marble, allowing the fountain to reflect the sun as brightly as it did in 1925. Last summer, my wife and I took my two daughters to Nationals Park in D.C. to see the Detroit Tigers play the Washington Nationals. My youngest was still an infant, but I spoiled my older daughter with junk food. She had a hot dog, a ton of popcorn, and a giant pretzel...and she loved it. But it wasn't Detroit. 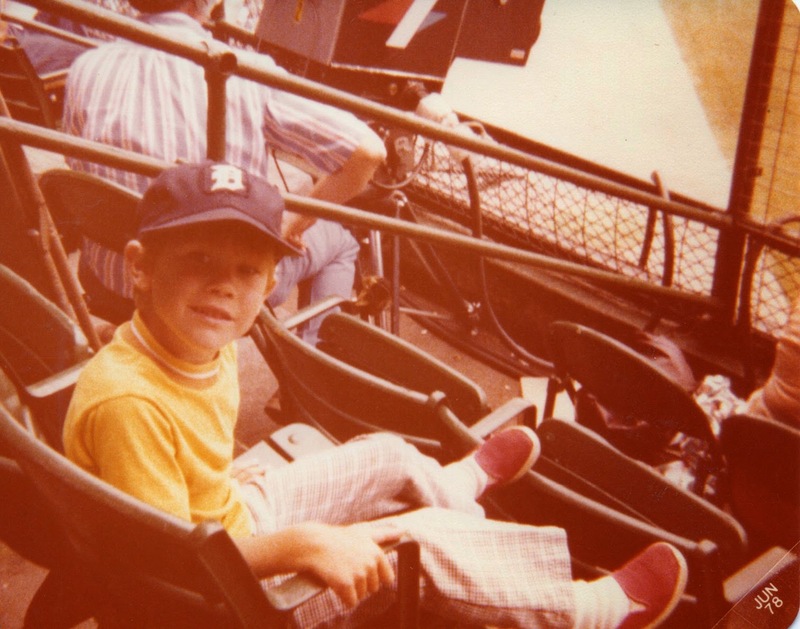 I remember the excitement of sitting in the back of my parents' station wagon while we rumbled over the brick paved streets of Corktown near Tiger Stadium. I was mesmerized by the enormity of the old ballpark towering above Michigan and Trumbull, the vendors peddling souvenirs and peanuts on the street, and the bustle of the pregame crowd. 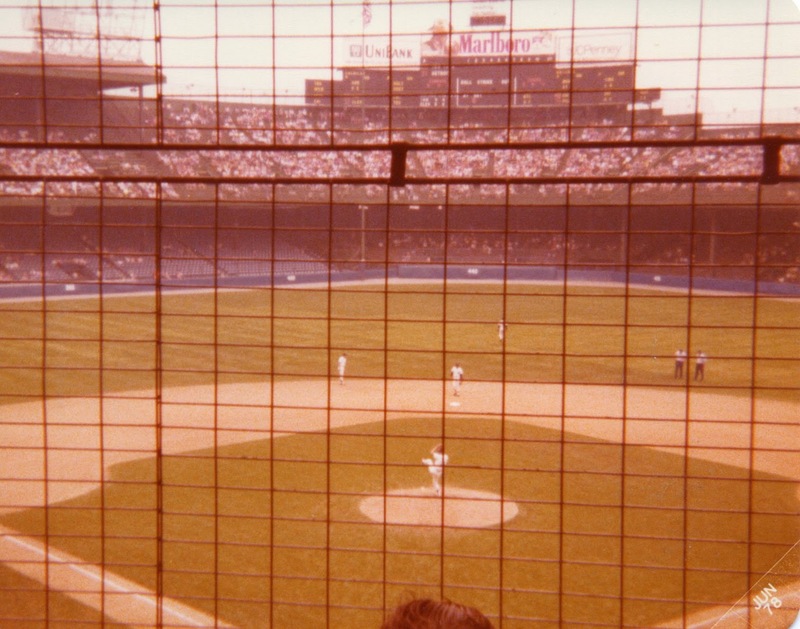 The ballpark was even larger on the inside, with its upper deck wrapping around the entire stadium with old, blue steel posts holding it up. It smelled old, but that was the odor of tradition. It wasn't just the tradition of great ball players like Ty Cobb and Babe Ruth, but also the tradition of fathers and sons (and mothers and daughters) who made pilgrimages to this stadium to cheer for their team. Tiger Stadium may be long gone, but I had to take my girls to the Tigers' current home, Comerica Park. We went to a 7:00 p.m. game on July 4. 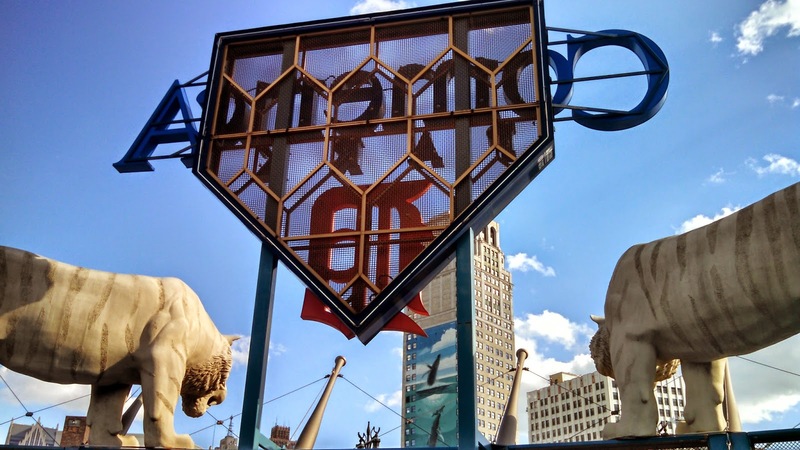 We parked in the lot outside the old Michigan Theatre, and walked through Grand Circus Park to Comerica Park. The area around the stadium was bustling, like I remember Corktown doing decades ago. 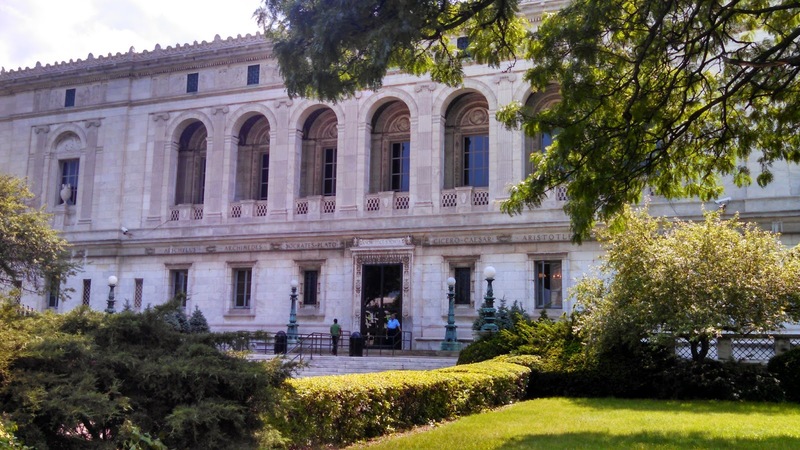 Last week, I visited the Detroit Pubic Library's Main Branch for the first time. It is located on Woodward Avenue across from what is probably the most famous tourist attraction in Midtown, the Detroit Institute of Arts. Although the DIA is definitely worth a visit, the library is a work of art in itself. The white marble building opened in 1921, six years before the DIA moved into its current location. Architect Cass Gilbert designed the library and was a preeminent architect of his era who designed Belle Isle's James Scott Memorial Fountain, the United States Supreme Court Building, New York's Woolworth Building, and several other iconic buildings throughout the United States. 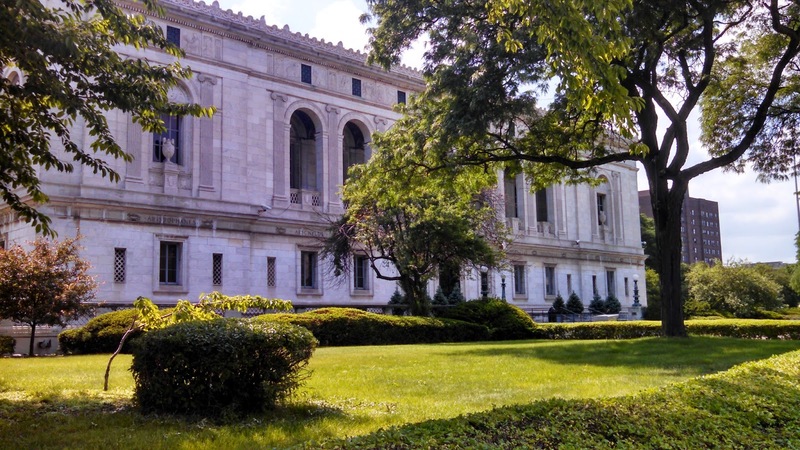 The Woodward Avenue side of the library is surrounded by trees and lush green lawns, which made it easy to forget that this land was frozen only a few short months ago. 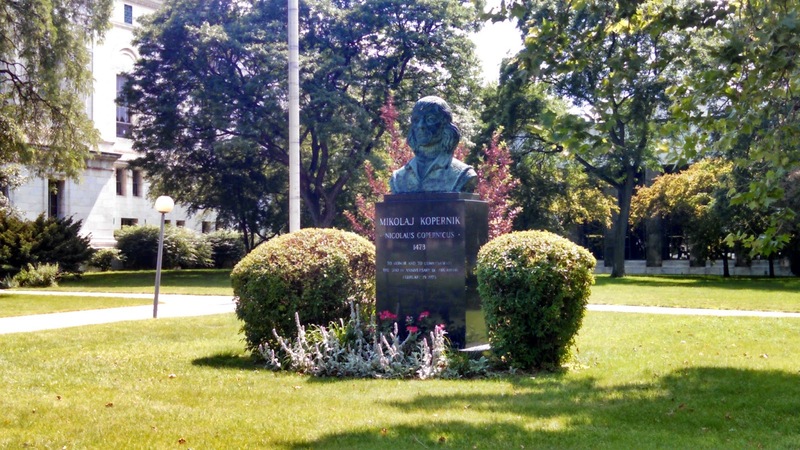 A large bust of Nicolaus Copernicus occupies the lawn to the right of the main entrance. The large white marble and limestone exterior rises above Woodward, but only a few steps rise up to the library's main entrance, unlike the large series of steps leading to the DIA's main entrance. Perhaps Gilbert wanted a street level entrance to give a sense that books should be easily accessible to the public. I entered the library on the Cass Avenue side. 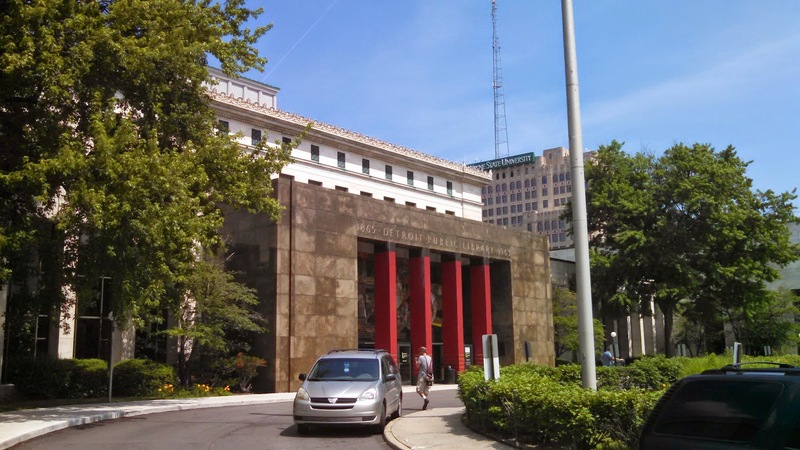 The library's entrance and two wings on Cass Avenue were built in 1963. The entrance is not as grand as the Woodward Avenue side, but I did enjoy the combination of the 1960s architecture, rich grass, green trees, clear blue skies, and warm June air. In addition to some special exhibits, like a room dedicated to legendary Tigers radio announcer Ernie Harwell, the Cass Avenue side has all of the services of a typical public library: computers, reading rooms, and a children's library room. Michigan is a big state with a lot of interesting people, businesses, etc., and I can only cover a small portion of the Great Lakes State on my own. I am open to one or two posts per week from guest bloggers. If interested, please click here or on the "Write for Lifelong Michigander" tab above for more information.